The sixth Street-O event of the season takes place in Poplar and Limehouse. This is event is on the last Tuesday of the month rather than the second Tuesday, to take advantage of the clocks going forward. Please advise if you plan to come and what (if any) food you’d like – see below for details – to Martin Evans at . You also may wish to RSVP on Facebook – you can also see who else is coming here and post queries. Like all our street-Os, this a public race – all are welcome. Car: On street parking OK after 17.30 but DO NOT park on estate roads. £1 for SLOW members and members of other BOF-registered orienteering clubs, students and juniors, £2 for non-members. The normal Street O format; you have 60 minutes to visit as many controls as possible, in any order, and return to the finish. Don’t forget to bring a pen to write down your answers to the clues as you go around, and a watch (both essential!). All clues will be visible under street lights (you may find it helpful to have a small torch or mini headlamp, but certainly not required). General information about street orienteering. Fluorescent clothing is recommended for safety. As with all Street-O races, you will need to cross roads with traffic during the race, some of which may be busy – take extreme care when crossing all roads. All competitors take part at their own risk. Cheese and ham rolls, beans/spaghetti on toast, porridge. Results will be available on the SLOW website shortly after the event, along with overall results for the Street-O series so far. The sixth Street-O race of the season takes place in Clerkenwell. 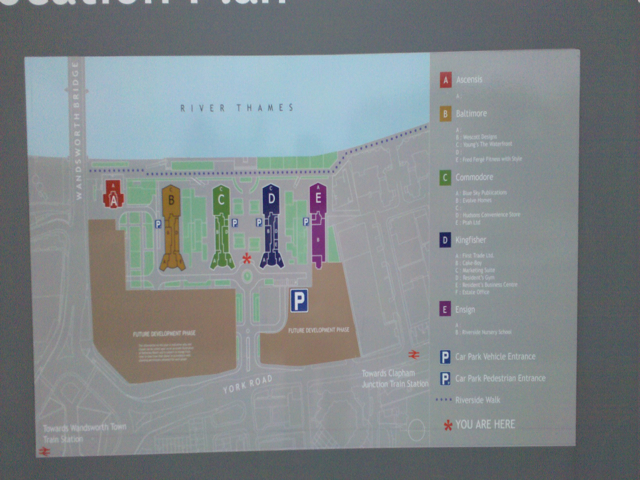 This area fits between LOK’s West End map and SLOW’s street map of the City of London. In the south the area covers Lincoln’s Inn Fields and the surrounding maze of small roads and to the north the area covers Clerkenwell and Finsbury. Please RSVP to the event on Facebook to let us know you are coming – you can also see who else is coming here and post queries. Like all our street-Os, this a public race – all are welcome. If you are not on Facebook, please let the organiser know you are coming, at . It is important we know if you are coming, so that the correct number maps are printed. The pub is on 4 Leather Lane, a wide pedestrianised alley which is just west of Holborn Circus. We will be downstairs. Nearest tube stations are Chancery Lane and Farringdon. Nearest overground station is the City Thameslink Rail station, a five minute walk away, and many of the other major London overground stations are all within 20 minutes of the location. Bus numbers 17, 45, 46, 341, 25, 521, 8 and 242 all stop on High Holborn next to the junction with Leather Lane. Turn up and go when you’re ready. Fluorescent clothing is recommended for safety. As with all Street-O races, you will need to cross roads with traffic during the race, some of which may be busy – take extreme care when crossing all roads. All competitors take part at their own risk. YOU MUST REPORT BACK TO THE FINISH AFTER YOUR RUN (EVEN IF YOU DECIDE TO GIVE UP) SO THAT WE DO NOT GO OUT LOOKING FOR YOU! The pub’s speciality is sausages. Full details. Food is served at the pub until 10pm and the bar stays open until 11:30pm – so there will be plenty of time to feed and water yourself after the race! The fifth Street-O event of the season takes place in Dulwich, Sydenham and Gipsy Hill. The event is based at the Dulwich Wood House pub. You may wish to RSVP to the event on Facebook and see who else is coming. Train: The nearest station is Sydenham Hill (trains from Victoria, Brixton, Herne Hill). From the College Road exit take the uphill path immediately opposite the station entrance. The Dulwich Wood House is at the top of the path. Bus: The 202 (from Sydenham station or Crystal Palace), 356 (from Forest Hill station) and 363 (from Peckham Rye station or Crystal Palace) pass outside. Car: Street parking is unrestricted. Usual 60-minute format. New 1:10000-scale map with contours. Remember to bring a pen and a watch. A torch or headlamp is recommended as the map includes a couple of poorly lit paths through woods, although you will not be significantly disadvantaged if you choose to avoid these. General information about street orienteering. The pub serves food until 10pm. The fourth Street-O event of the season. Please email to let us know if you intend to come and if you will be staying for food. You can also RSVP to the event on Facebook and see who else is coming. We are a 10 minute walk from Victoria station for trains and tube and a 5 minute walk from Pimlico tube station. There is very limited on street parking as the majority of spaces are reserved for residents, the nearest car park is on Cumberland Street. We will have two rooms set aside for changing and bag storage, please don’t leave your bags in the living room otherwise everyone might not fit into the flat! £1 for SLOW members and members of other BOF-registered orienteering clubs, plus all students and juniors. £2 for non-members. A contribution is also requested for the post-race social, see below for details. Usual 60-minute format. Maps will be printed on waterproof paper. Don’t forget to bring a pen to write down your answers to the clues as you go around, and a watch. You may also wish to bring a small torch or mini headlamp to help see the clues. General information about street orienteering. To be revealed on the night. The race is doubling up as the SLOW Christmas social so please do stay and chat afterwards. We will provide a big pot of casserole, mulled wine and mince pies for a contribution of £3. Feel free to bring along any other drinks you want (there are plenty of shops nearby). This is a new area to Street O for SLOW, in between Battersea, Putney and Wimbledon. Please email to let me know you’re coming so I can get enough maps printed. The Waterfront, Battersea Reach, SW18 1TS. Located on the river end of Block B in the diagram below. Nearest train station Wandsworth Town, buses 28/295 from Fulham Broadway or 295/C3 from Clapham Junction (Bridgend Road). 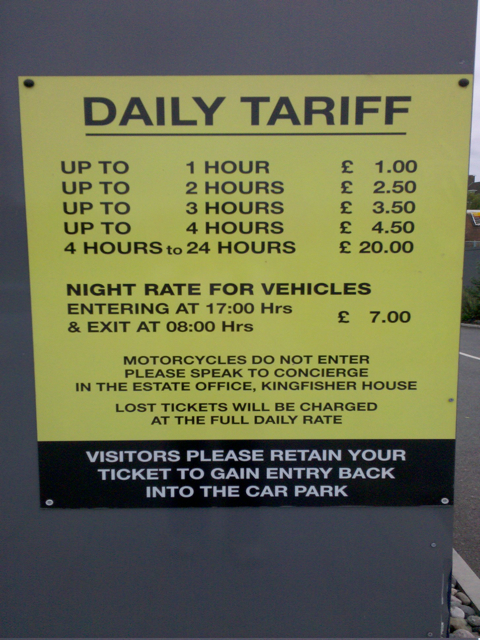 See below for car parking fees. £1 to cover waterproof map printing. There are a number of high traffic flow roads running through the area. The following roads will be marked out of bounds on the map and may not be crossed except at marked crossing points (pedestrian crossings, bridges and underpasses): Swandon Way, Trinity Road, the Wandsworth Bridge roundabout, and the Wandsworth one-way system (Wandsworth High Street, Armoury Way, Fairfield Street). A map with prohibited roads will be available for perusal before the start. Please take care crossing all roads. Wandsworth is also favoured with many green spaces; please take care if using routes across parks or commons and consider using a torch or headlamp. There will be a student pub crawl progressing through Wandsworth town centre (mostly avoided by courses) that evening (cause of the late change of venue); please take care around revellers who may be unable to look out for you. The Waterfront has a good drink selection and restaurant. Food available until 10pm. Results will be available on the SLOW website after the race. The third Street-O event of the season. To assist with predicting numbers for map printing, please email – if you intend coming, or if you have any other queries. The YMCA Centre is situated just a few minutes walk from Surbiton station. Regular trains run to Surbiton from Waterloo and Clapham Junction, and there are good bus links from Kingston, Richmond etc to Surbiton station. Come out of the main station entrance (turn left at the top of the stairs once you’ve come off the platforms) and then turn left out of the station and walk 300 metres down the high street. The YMCA is on your left just before the junction with Brighton Road. There is very little parking on Victoria Road or Brighton Road, but free parking is available on many nearby residential roads from 6.30pm onwards – check parking exclusion signs to make sure you are parking legally. We have been allocated a couple of large rooms for changing, where bags can also be left while you run. We have been asked not to use the YMCA gym changing room or showers (due to the small capacity of these changing facilities). £1 for SLOW members (or members of other BOF registered orienteering clubs), plus all students and juniors. £2 for non-members. Usual 60-minute format. Maps will be printed on waterproof paper. Don’t forget to bring a pen to write down your answers to the clues as you go around, and a watch (both essential!). All clues will be visible under street lights (you may find it helpful to have a small torch or mini headlamp, but certainly not required). General information about street orienteering. The YMCA restaurant will be serving food between around 8.00 – 9.30 pm, put on especially for us – please support them. They are offering a bolognese pasta bake and a vegetarian pasta bake, plus a selection of salad. Additionally, the bar will be open serving drinks for from around 8.00 – 10.00 pm. The first Street-O event of the season and possibly the last act of the Imperial College Orienteering Club. Please send an email to so we can get an idea of the numbers for map printing. By tube: From South Kensington Tube Station (District, Circle and Piccadilly Lines) follow the tunnel out of the station to exit 4 (Science Museum and Imperial College), cross the road and enter the gardens by Eastside Hall. Alternatively, surface, turning right at the top of the stairs to head north. So roughly 20m east and turn onto Exhibition Road, pass the Natural History Museum (on the left) V&A (on the right), Science Museum (on the left) until you reach Imperial College, then cross the road and into Prince’s Gardens. Orienteering kites will mark the entrances to Prince’s Gardens. By bike: The railings on the northern edge of Prince’s Gardens are used as a bike rack by the locals. Join in. There are extensive roadworks on Exhibition Road that make it a deathtrap for cyclists, approach from the east if possible. By car: If you’re rich and want to drive then Imperial College operate an open pay and display policy after 6pm. It costs £8.50 for the night, go in by the entrance on Exhibition Road. If you don’t want to pay “Good Luck, you’re on your own”. Despite our best efforts we could not obtain the Imperial College gym changing rooms (although if you’re a member of the college, or can obtain a swipecard you should be able to gain access). Thus I’d suggest either arriving ready to run or visiting the toilets in the bar. Entering the race costs £1 to defray map printing costs. First start at 1830, last at 1930. Dusk is around 1930, so earlier starts will be lighter. Tables are booked in the bar (see below) from 1930. The runner has 60 minutes to visit as many controls as possible and return to the finish. Every minute, or part thereof over the 60 minutes allotted for the run will be penalised at 25 points. 1:12500 “Street-O” map. Out of bounds areas will be marked. In the Imperial College Eastside Bar which is next to the start. Tables are booked from 1930 and food service is until 2100 for most things, and later for pizza and some other bar food. The menu is online here. SLOW is once again organising a monthly street orienteering (“Street-O”) race between September 2010 and April 2011, which will be held on the second Tuesday of each month. Each evening will consist of a night street orienteering race, as well as a social event afterwards where you can meet up with club members. Further details on Street-O are available here. All events are on Tuesday evenings. Further details on each event will be posted on the SLOW website a week or two in advance. If you would like to contact any of the organisers, email the series coordinator Paul Nixon at , to be put in touch. Points are scored at each event, with 50 for the winner, 45 for 2nd place, and then 41 for 3rd, 38 for 4th, 36 for 5th, 35 for 6th, 34 for 7th etc down to 1 point for everyone who finishes 40th place or lower. The organiser of the event scores points equal their best at any other race in the season. The overall results will be based on your best 4 scores in the series, and there will be prizes for the leading man and leading woman over the series. In the event of a tie, head-to-head results will be used.